Now that the Doctor and Clara have established a dynamic as a partnership of equals, they're relishing the fun and thrills that all of space and time has to offer. Tangling with ghosts, Vikings and the ultimate evil of the Daleks, they embark on their biggest adventures yet. "Where is the Doctor?" When the skies of Earth are frozen by a mysterious alien force, Clara needs her friend. But where is the Doctor, and what is he hiding from? As past deeds come back to haunt him, old enemies will come face-to-face, and for the Doctor and Clara survival seems impossible. Trapped and alone in a terrifying Dalek city, the Doctor is at the heart of an evil Empire; no sonic, no TARDIS, nobody to help. With his greatest temptation before him, can the Doctor resist? And will there be mercy? When an Underwater Base comes under attack, the Doctor and Clara must save the frightened crew and defeat an impossible threat. But what is behind these terrifying events? And can they really be haunted by Ghosts? On a remote Army outpost, a fearsome alien warlord - the Fisher King - sets in motion a twisted plan to ensure his own survival. The ripples will be felt around the universe. Is this chain of events inevitable? And can the Doctor do the unthinkable? Captured by Vikings, the Doctor and Clara must help protect their village from Space Warriors from the future; the Mire. Outnumbered and outgunned their fate seems inevitable. So why is the Doctor preoccupied with a single Viking girl? England, 1651. The deadly Highwayman 'The Knightmare' and his sidekick stalk the dark streets of London. But when they find loot that's not of this world, they come face to face with The Doctor. Who is the Knightmare in league with and can the Doctor avoid the hangman's noose and protect Earth from a devilish betrayal? The Zygons, a race of shapeshifting aliens, have been living in secret amongst us on Earth, unknown and unseen... until now! When Osgood is kidnapped by a rogue gang of Zygons, the Doctor, Clara and UNIT must scatter across the world in a bid to set her free. But will they reach her in time, and can they stop an uprising before it's too late? Shapeshifting Zygons are everywhere in the UK, and there is no way of knowing who to trust. With UNIT neutralised, only the Doctor stands in their way. But how do you stop a war? And what can the Doctor do to save his friends? This terrifying story is assembled from footage discovered in the wreckage of Le Verrier Space Station. The Doctor and Clara, with their old friend Rigsy, find themselves in a magical alien world, hidden on a street in the heart of London. Sheltered within are some of the most fearsome creatures of the universe, and Ashildr! With a death sentence hanging over their heads, not all of the intruders will get out alive. If you took everything from him, betrayed him, trapped him, and broke both his hearts... how far might the Doctor go? Returning to Gallifrey, the Doctor faces the Time Lords in a struggle that will take him to the end of time itself. Who is the Hybrid? And what is the Doctor's confession? 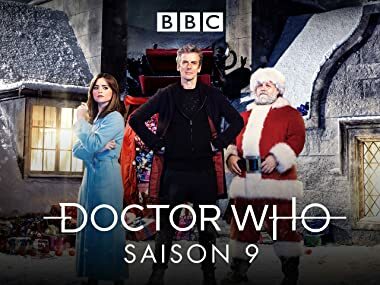 It's Christmas Day on a remote human colony and the Doctor is hiding from Christmas Carols and Comedy Antlers. But when a crashed spaceship calls upon the Doctor for help, he finds himself recruited into River Song's squad and hurled into a fast and frantic chase across the galaxy. King Hydroflax is furious, and his giant Robot bodyguard is out-of-control and coming for them all! The Doctor teams up with an investigative journalist, and a superhero to save New York from a deadly alien threat.